Blank heads for Dollfie Dream® are ready to customize to your liking! For make-up, we recommend painting with "Acrylics" and "Pastels"! 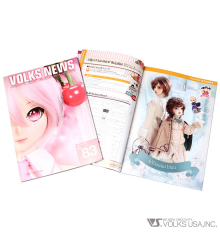 We also have a make-up kit called "Dollfie® Make-Up Starter Kit" for starters and veterans! This item is the unpainted head only. Wig etc are not included. Please take care to avoid staining. Please store in a location away from high temperatures. 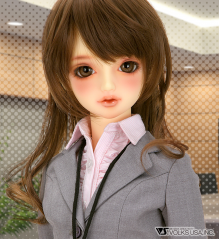 We recommend the use of a "Dollfie Head Cap" to prevent the wig from staining the doll's head.